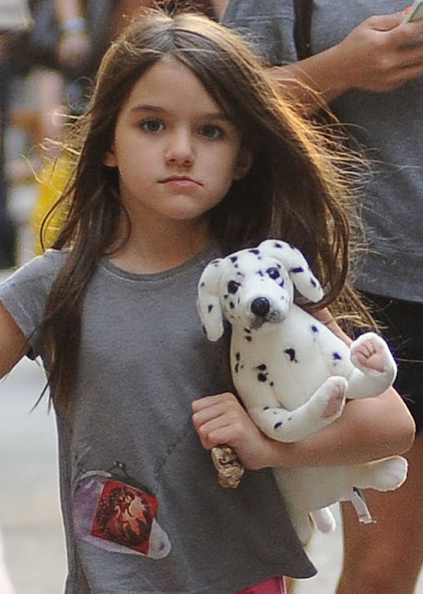 Suri spotted out & about in NYC on May 30th 2012.
outfit info: tshirt by gap, capri pants by splendid littles, shoes by nordstrom. 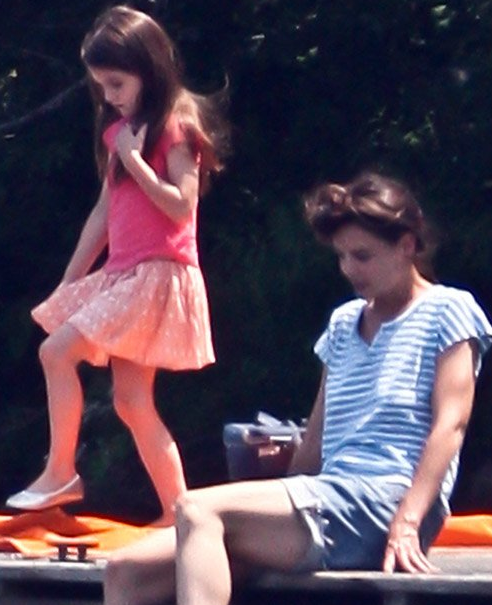 Suri had lots of fun while visiting Katie on the set of her new movie "The Seagull" filming in Kent, Connecticut on May 29th 2012. Suri arrived wearing pink top, Skirt by Crewcuts and shoes by nordstrom..
..and enjoyed some sunshine while drying of on a dock! S&K boarded their private jet en route to Connecticut after spending some time with Tom in Baton Rouge, Louisiana on May 28th 2012. Suri is wearing Aqua Embroidered Racerback Dress SS'12 by GAP. Suri & Katie went for a walk in Kent, Connecticut on May 25th 2012. Katie is currently in Connecticut to film her newest movie "The Seagull". outfit info: dress by juicy couture, shoes by nordstrom. 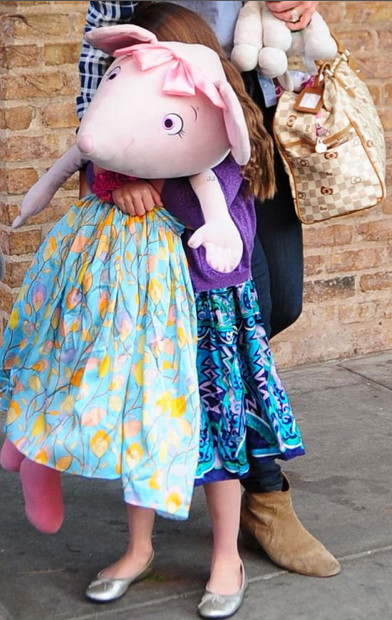 Suri & Katie braved the rain, while shopping for toys at FAO Schwartz in NYC on May 21st 2012. 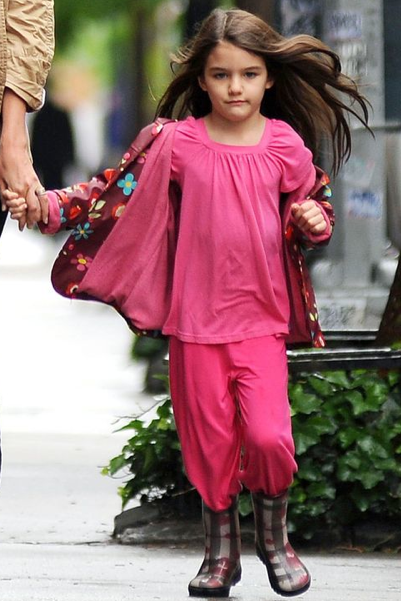 Suri was wearing Raincoat by Hatley, Heart & Check Rain boots by Burberry and some pink loungewear pants & top. 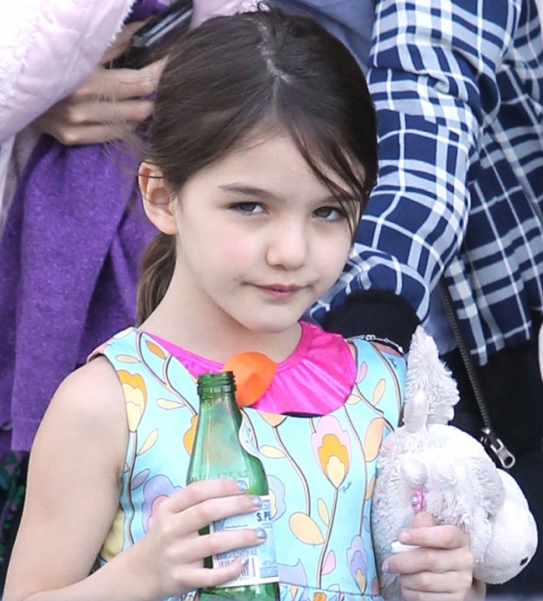 Suri pictured holding a cup of warm milk, while out & about in Baton Rouge, Louisiana on May 20th 2012. 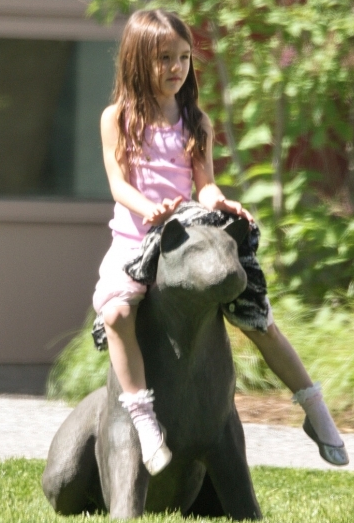 Suri had fun at the park with Yang girls in Baton Rouge, Louisiana on May 20th 2012. 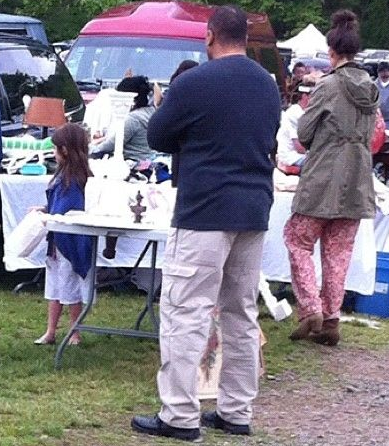 Suri & Katie spotted shopping at a Flea Market in Milford, Connecticut on May 6th 2012. In the morning Suri went for gymnastics class at Chelsea Piers, NYC on April 27th 2012.
and later S&K were pictured leaving NYC by helicopter. 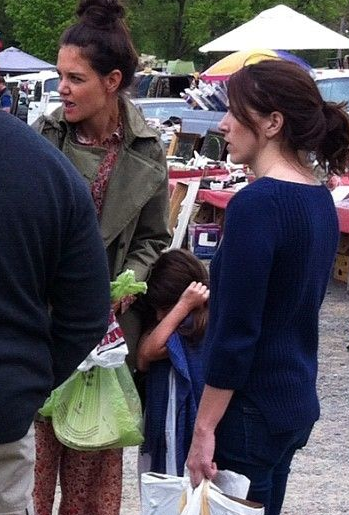 Suri & Katie went out to grab some cupcakes in NYC on April 25th 2012. Suri is wearing a Hungarian style Dress and a Faux Fur Jacket by Curio+kind.